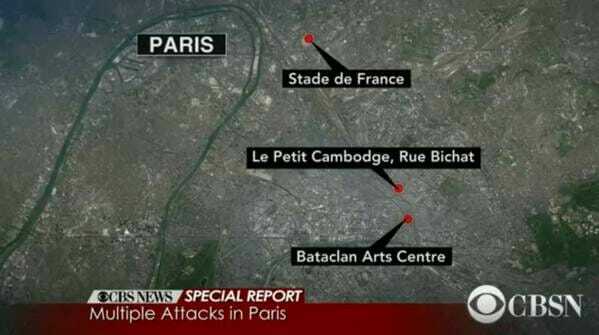 The terrorists hit a number of establishments in Paris. Terrorists are holding 60-100 hostages inside the Bataclan concert hall. Inside the soccer stadium you could hear the suicide bomber during the match! Reporters say this was a suicide bomber outside the stadium in a bar-restaurant area. At the stadium the people are now on the grass.